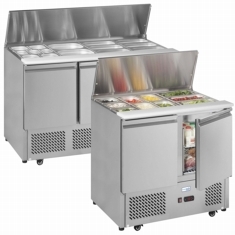 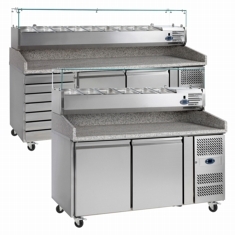 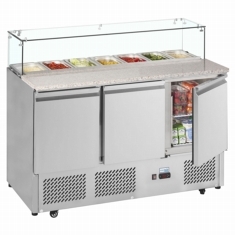 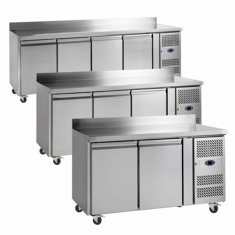 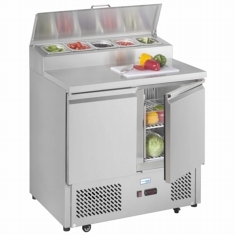 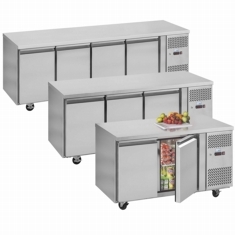 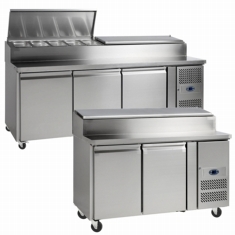 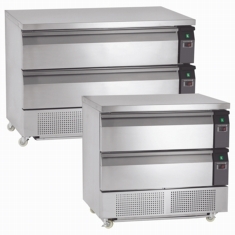 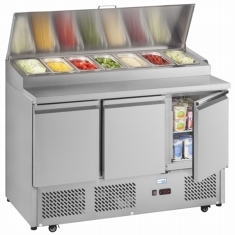 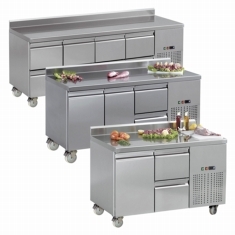 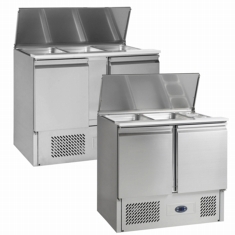 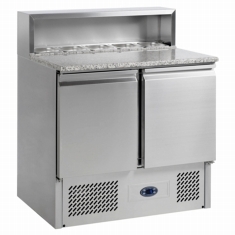 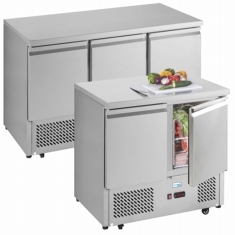 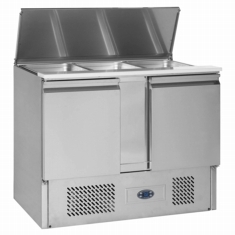 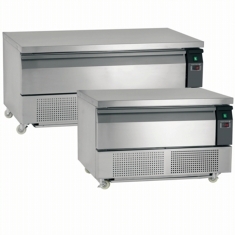 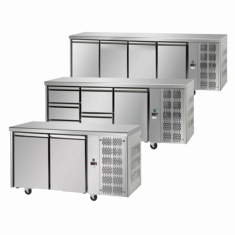 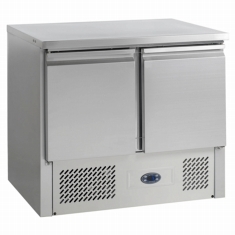 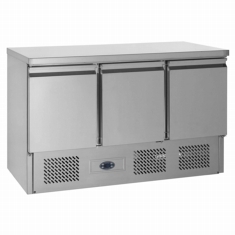 We stock a wide range of refrigerated counter solutions for the food service industry and professional kitchen. 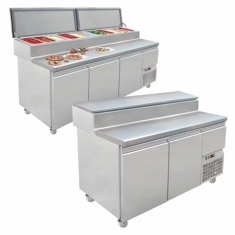 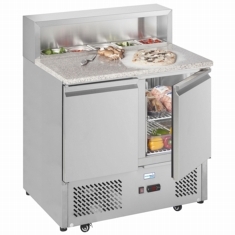 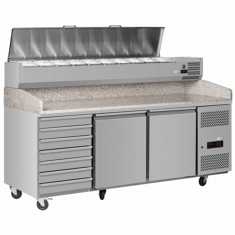 From standard refrigerated gastronorm counter through saladette counters will gastronorm wells and pizza prep units with granite tops and built in topping units. 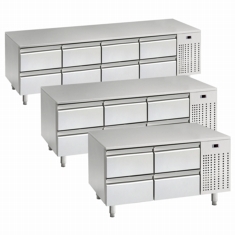 Drawer options are available on some cabinet and can be available from stock for some options.